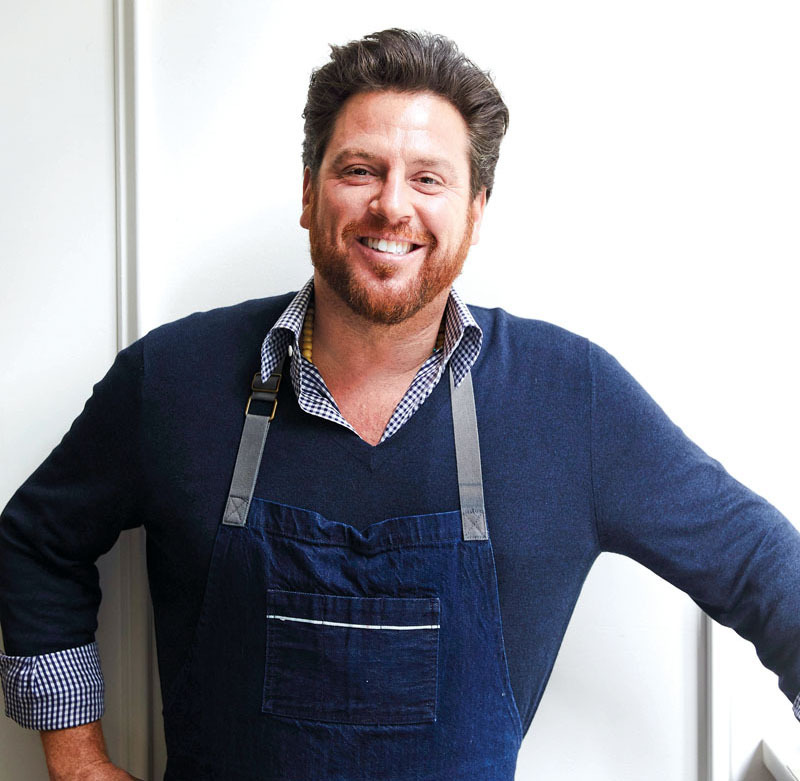 Sprezzatura is a philosophy that drives Scott Conant. 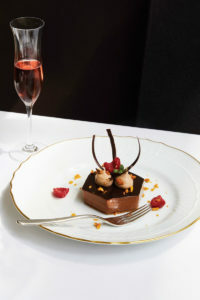 The Italian word means the art of nonchalance and applies to the chef for making sophisticated elegance look effortless. 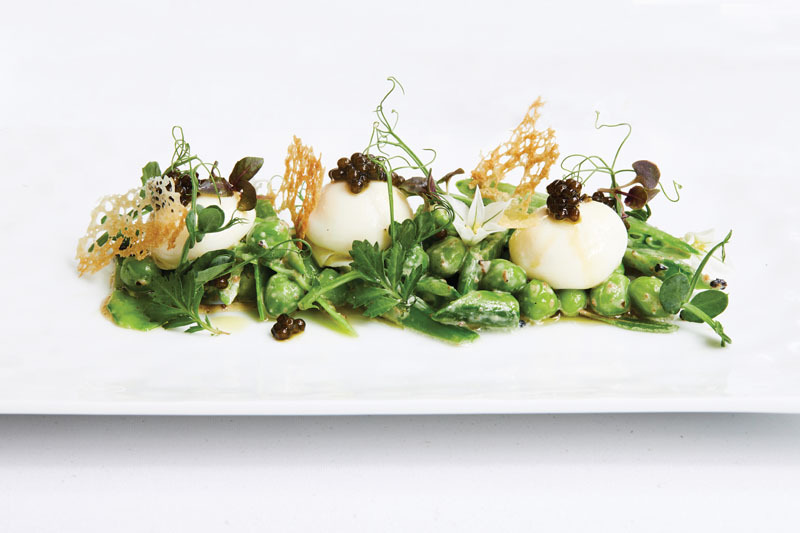 When Food & Wine Magazine named Conant to its “Best New Chef” list in 2004, the world began to take note. Thirteen years later, Conant is recognizable as a chef, restaurateur and cookbook author, as well as a beloved television personality on several Food Network shows. 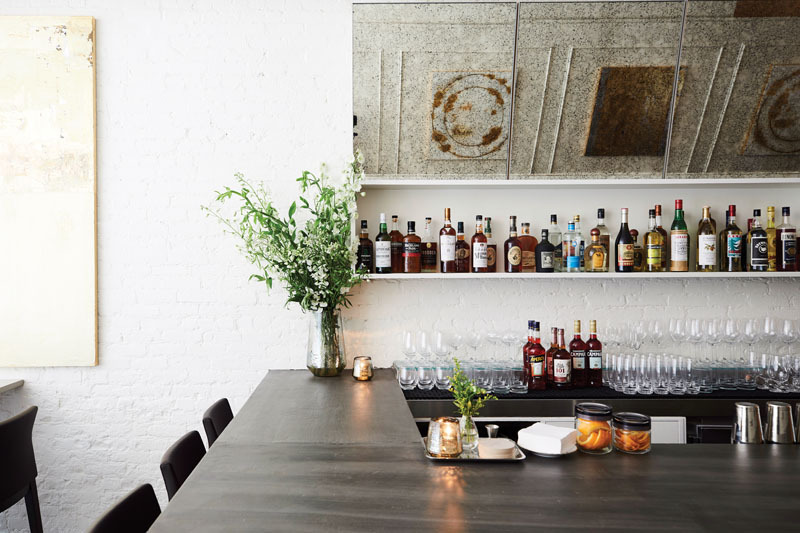 The chef recently debuted Fusco, his first solo New York City restaurant in several years. 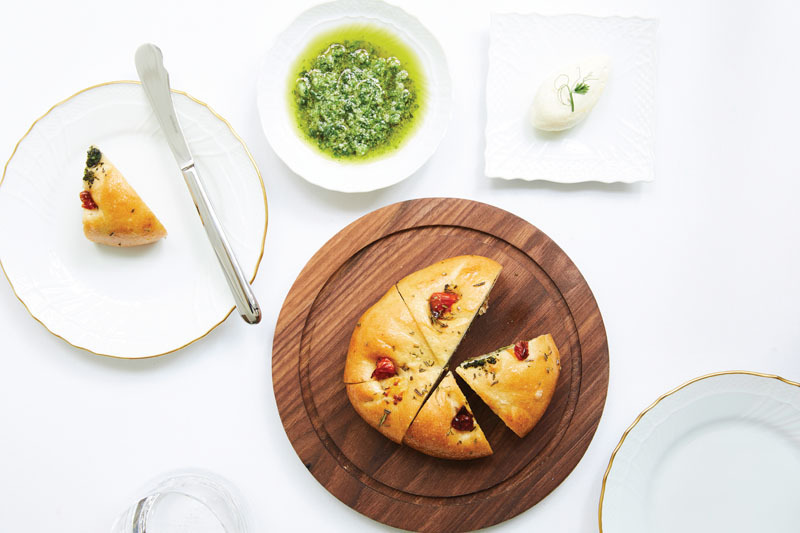 Located at 43 East 20th Street, Fusco is named after Conant’s grandmother, Carminella Fusco, who not only fostered a love of cooking, but embodied an old-world hospitality that her grandson wants to honor. The special little spot seats 60 and its plain and simple appearance both architecturally and in design is inherently elegant against the bustling backdrop of Gramercy. 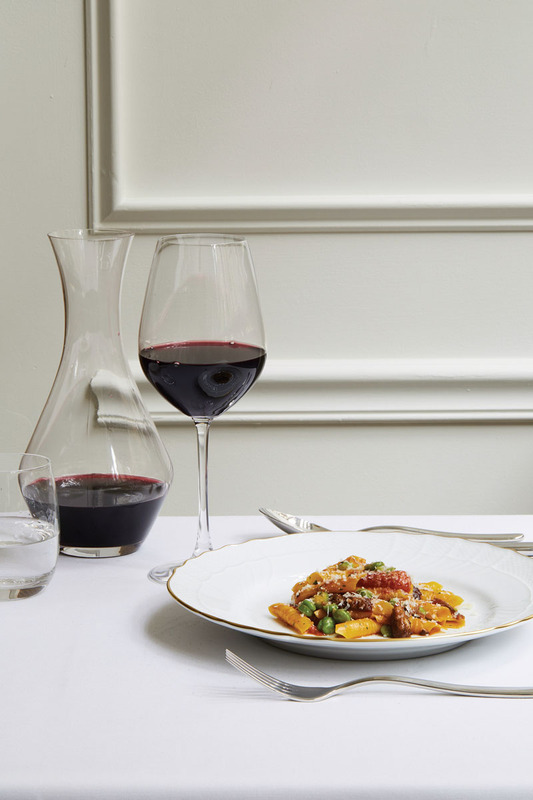 Throwing it back to the refined charm of how dining used to be, Fusco features a new-school Italian menu, including dishes like Hamchi Crudo, lamb’s neck, steamed turbot and duck agnolotti. Conant has also found success in several other restaurants, including Scarpetta, The Ponte Ristorante and Mora Italian. 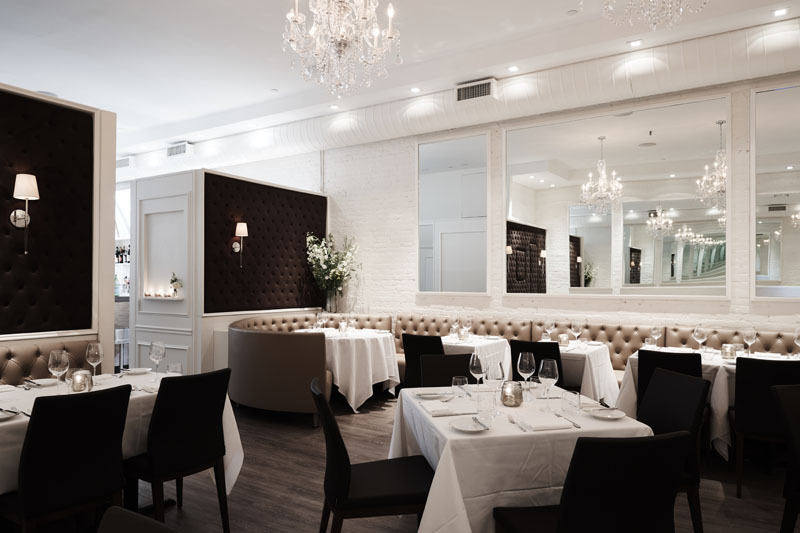 Conant also boasts a 3,000-square foot loft in the heart of SoHo aptly named Scott Conant’s Culinary Suite. But before he became a successful chef, Conant began where many others do: washing dishes. 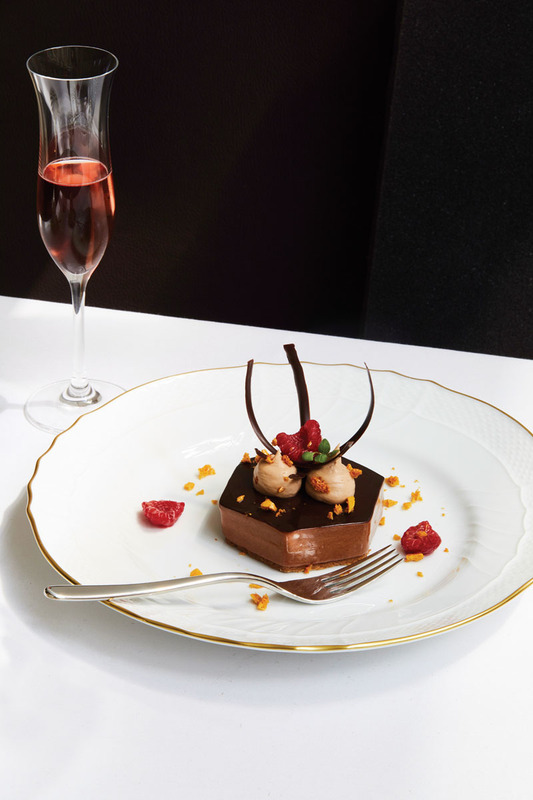 Although he was in the kitchen at a young age with his family, Conant began making a name for himself when he moved to New York City 27 years ago and worked for San Domenico. The restaurant had just opened and Conant had never seen Italian food presented in such a way. The bar area at Fusco is bright and inviting. In Conant’s view, the culinary landscape may have changed—even French restaurants are utilizing Italian ingredients and commodities—but the importance of pasta as a staple dish will never go out of style. Known as the Maestro of Pasta, Conant’s fresh varieties of pasta are mainstays on his menus and he continues to elevate the simple mixture of flour, salt and egg. “I started cooking pasta years ago and I got good at it. I like creating layers of flavors and the textures involved. I like how interesting it could become,” he says, adding that he and his team have been working on a milk-based, milk-filled pasta from Sorrento. “We’re putting squid ink, flecks of basil, andouille sausage and crisped-up pork belly that’s braised. 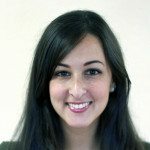 While it may seem like a simple dish to make, cooking pasta has led many at-home chefs to make mistakes the minute they boil water without salting it, a move Conant can’t understand. With so many years of experience, it’s only right that Conant allows himself to make things up as he goes along. He shares that his style of food is a combination of inspiration from many people, but also the ability to create his own food and speak his own language. Conant has his hand in many ventures. Over the years he has published three cookbooks, Scott Conant’s New Italian Cooking (2005), Bold Italian (2008) and The Scarpetta Cookbook (2013). While he considers himself a cook first, he is also an entrepreneur whose wealth of knowledge has been beneficial for aspiring and up-and-coming chefs as well. His star on the Food Network walk of fame has served him well as a judge on Chopped and several other shows. The chef’s plate overflows these days with a bevy of new projects, including a steakhouse in the Catskills and a cooking school component in Scottsdale, AZ, similar to his New York City culinary suite. Keep up with him by visiting www.scottconant.com and get a taste of Fusco the next time you’re in Manhattan.